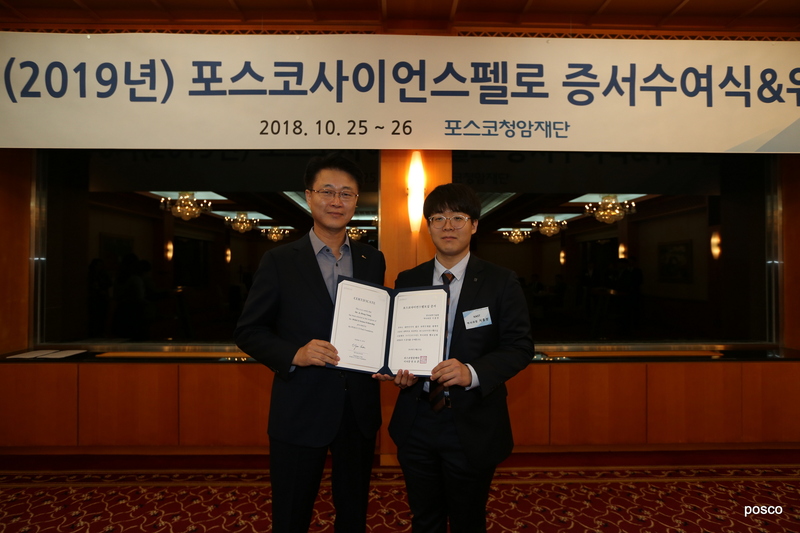 The POSCO TJ Park Foundation, a non-profit organization established by a South Korean steelmaking company to foster science, education, philanthropy, and technology, announced 32 POSCO Science Fellows 2019 on October 25, 2018. Ji, Hong-Chang, a Ph.D. student, has been chosen as one of the science fellows. 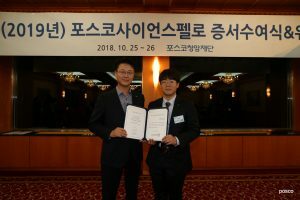 Each year, the TJ Park Science Fellowship selects and supports 30 or more young scientists, including assistant professors, post-doctoral researchers, and doctoral students, in mathematics, physics, chemistry, and life science to promote basic science in Korea. Ji’s research interests are random matrix theory and free probability theory. He proposed for the fellowship with a research plan entitled “Deformation of Classical Random Matrix Ensembles.” He plans to study operations such as addition and multiplication of independent random matrix ensembles utilizing free probability theory. Free probability theory is based on the new concept of independence between noncommutative random variables named “freeness.” Independent random matrices are known to be asymptotically “free” in the limit of matrix size going to infinity under some conditions. His main research goal is to extend the results of addition of random matrices to other operations, for example, multiplication or combination of addition and multiplication, using tools from free probability theory.